It’s important to know what a company is looking for in a qualified candidate. The skills and experiences required for the position will be brought up by the employer during the interview. Be the best candidate for the position by knowing what is expected from you for the position. Think of a time when you’ve used these skills in the past and experiences you’ve had that correlate with the opening position. Other than the job posting itself, go on to the company’s website to get an idea of the type of employee the company desires. It’s vital to understand the mission, values, and culture of the company you are applying for. What is it that the company is looking for in an employee? What kind of workplace does the company value? It’s important to do your research on the company and employer. Most likely, a company will have a page on their website dedicated to the company’s mission and value. Pay attention to what is written on their website and also get a feel of the company by looking at the company’s social media networks. Reading reviews online is also a great way to find out what company culture you’re getting yourself into. Many ex-employees will post online reviews about what it was like to work for the company, what the company values, benefits etc. Show the recruiter you’re interested in the company and all it has to offer by knowing what types of products and services are offered. The recruiter will ask you about any experience you have had with these services. You can usually find this information on the company’s website. Be prepared by knowing who the interviewer will be. This includes name and position within the company. 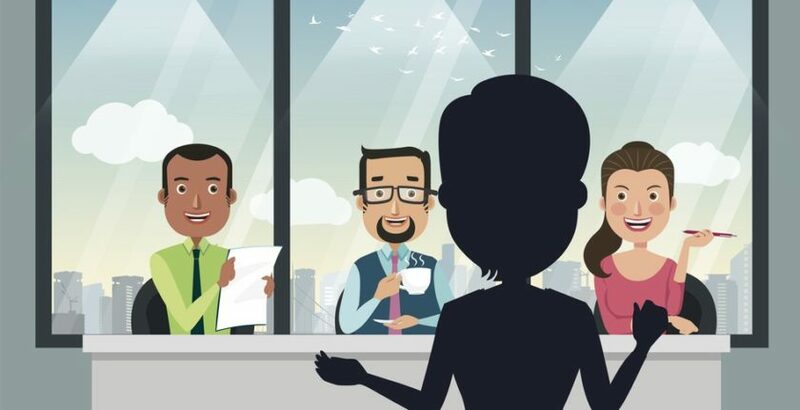 This allows you an advantage by having a better chance of connecting with the interviewer and sparking up a conversation. You can most likely find this information from the email you received regarding the interview. Once you know this information, look them up on the company’s website to find out some background information and what position they hold in the company. The recruiter will always ask if you have any questions at the end of the interview. Have at least two questions you can ask the recruiter to show your interest in the position. These questions can be about the company, the job position, benefits, or pay rate. Bringing an extra resume is always a must. To be safe, bring two copies. It helps to do practice interviews. Ask a family member or friend to ask you some potential questions so you can be prepared on how to answer these questions and practice answering them in front of someone. Dress to impress. This will be the first thing an employer will notice about you before even speaking to you. Dress simple and professional. Don’t know what to wear? Ask a family member, a guidance counselor or a teacher. Don’t be late for an interview. Ever. Know where exactly you are going to avoid getting lost and leave early from home to avoid lost time due to traffic or accidents. Always arrive 10-15 minutes early.